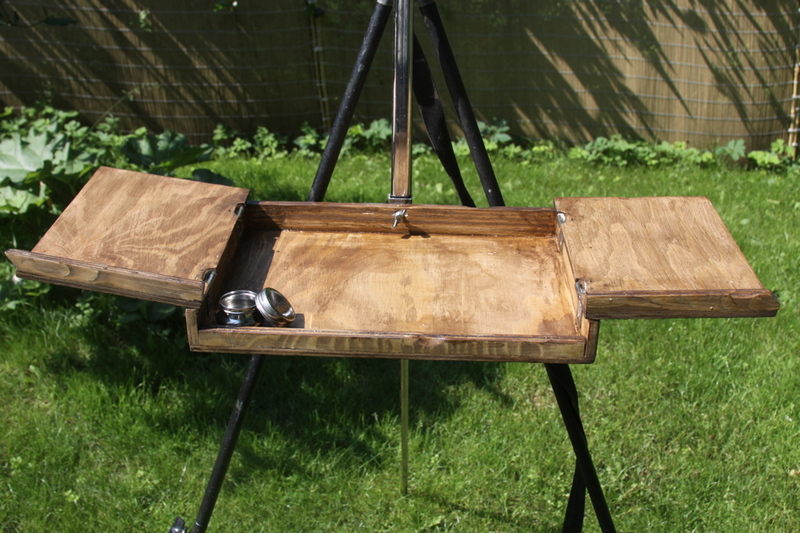 If you are looking for a good alternative to the traditional French box easel then this is the thing for you! 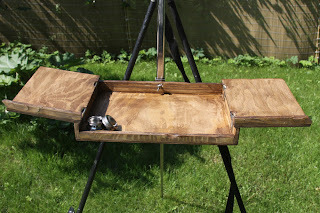 The Landscape Palette Box is 25x35cm wide and 4cm tall(10x14x1.6inches). The box is built from strong, light-weight plywood which fits into any standard size backpack. The lid of the box opens horizontally, allowing for more mixing area, a place to rest brushes or your glass of Italian wine while painting. The unique feature of the palette box is its attachment for the common steel tripod easel. A piece of rectangular steel tube has been welded to a mounting bracket that is attached to the box. 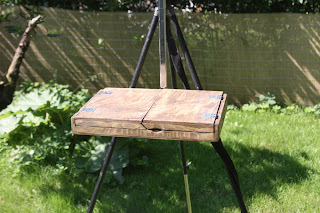 Unlike the modern day Pochade boxes that attach to a wiggly camera tripod,the Palette box sits firmly on the steel tripod easel. By tightening the wing nut, the box can be adjusted to any height, for easy sight-size plein air painting. It's a very portable, easy landscape kit that is a bit easier to travel with.